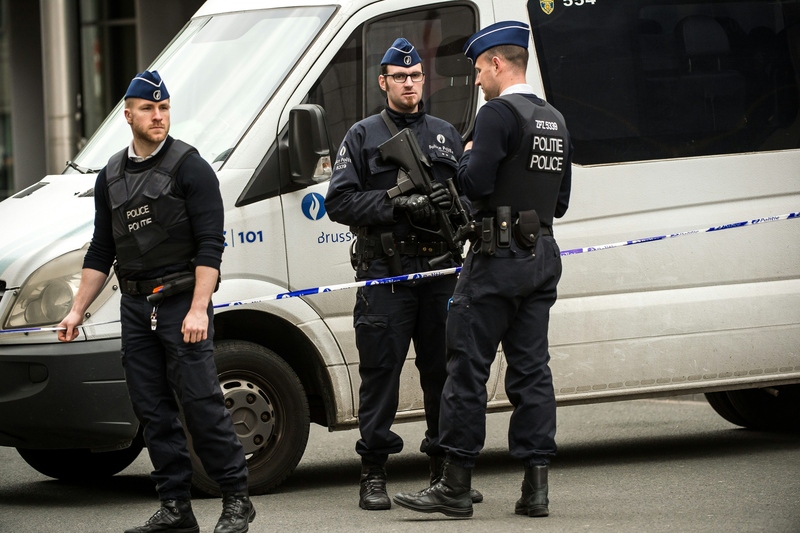 Days after the arrest of Salah Abdeslam, the only surviving man believed to have been directly involved with November's horrifying Paris attacks, multiple fatal blasts rocked the Belgian capital of Brussels on Tuesday. Many are already suspecting a tie between the two European cities' attacks, but one French cartoonist has already produced a touching image, tying the two attacks together in heartbreak. In the visual that is now going viral on Twitter, a crying figure whose head emerges from the French flag comforts and places its arm around a weeping figure who bears the colors of the Belgian flag. It simply says "13 novembre... 22 mars..." — the dates of the Paris attacks, which resulted in 130 fatalities, and Tuesday's bombings in Brussels. The image was created by the French political cartoonist Plantu, whose work regularly appears in the French newspaper Le Monde. While many of his cartoons lean towards the caustic and focus on skewering politicians, the one marking Tuesday's attack in Brussels focused on sending a sign of support to Belgians as the country reels from the attacks on Brussels' main international airport and a subway station near the European Union's headquarters. It's by no means clear that there is an actual connection between the November attacks in Paris and Tuesday's in Brussels. The fact that these deadly blasts occurred shortly after Abdeslam was captured outside of Brussels and that Belgium has "emerged as a focus of counterterrorism investigators after the attacks in Paris in November," according to The New York Times, have raised questions about a possible link, but no official statement has been made on this issue. French President Francois Hollande echoed the spirit of unity captured in Plantu's cartoon, saying on Tuesday, "Through the Brussels attacks, it is the whole of Europe that is hit."